'Farewell, Great Macedon': The TARDIS materialises in the Hanging Gardens of Babylon, one of the Seven Ancient Wonders of the World, in the year 323 BC. 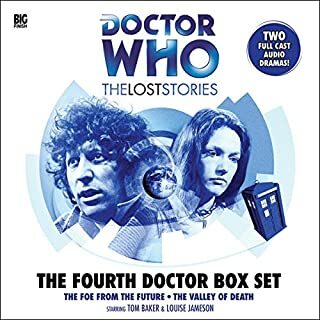 The Doctor, Ian, Barbara and Susan meet Alexander the Great - but their excitement is tempered by the realization that these are the final days of Alexander's life. As the travellers become embroiled in the tragic events, the inevitability of history unfolds around them. But can they - and should they - change it? 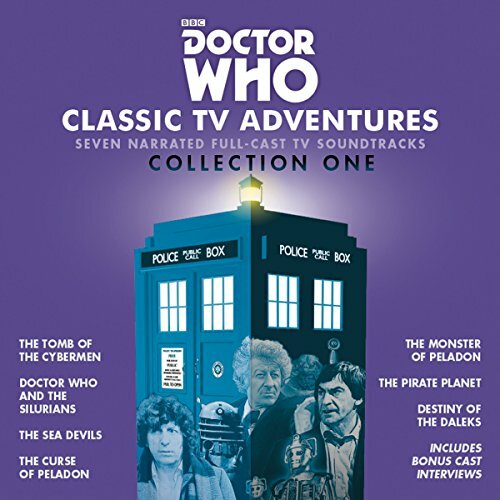 Patrick Troughton, Jon Pertwee and Tom Baker star as the Doctor in these seven narrated full-cast TV soundtracks of classic Doctor Who TV serials. 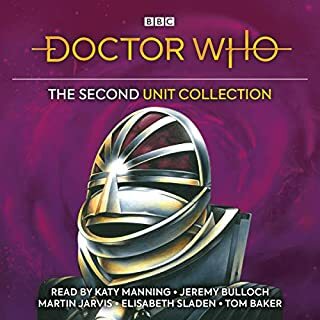 The stories are 'The Tomb of the Cybermen' (narrated by Frazer Hines); 'Doctor Who and the Silurians' (narrated by Caroline John); 'The Sea Devils' (narrated by Katy Manning); 'The Curse of Peladon' (narrated by Katy Manning); 'The Monster of Peladon' (narrated by Elisabeth Sladen); 'The Pirate Planet' (narrated by John Leeson); and 'Destiny of the Daleks' (narrated by Lalla Ward). 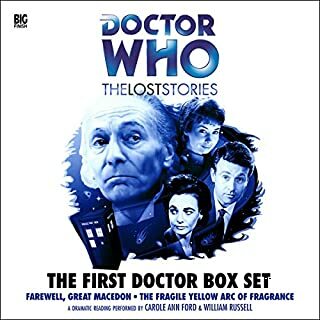 Also includes bonus interviews with the narrators in which they each recall their time as the Doctor's companion in the BBC TV series. I loved this audio book very much and I want more like these. 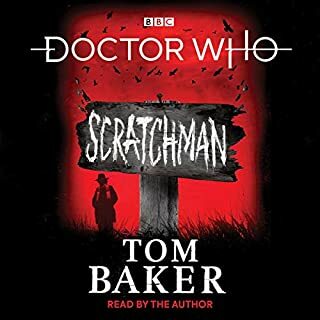 The narrators are great in this audio book and keep the good work. As a child of the 70s I grew up with Tom Baker as the doctor. A golden age for the doctor until the new post 2000 generation. So I gave this a go, but I have to say that I found it pretty boring. 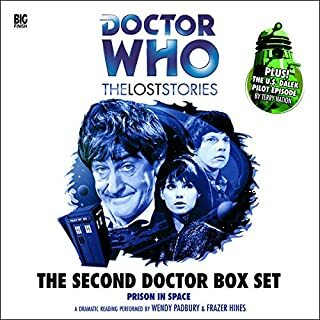 The last story involving the Daleks was ok, but some of the others seemed to go on and on, especially the pirates and the second Peladon one. The conversations with the actors that pop up from time to time were mildly interesting but in the end I was glad to finish it and get back to a proper novel. Good stories when they get going. But the narration is hard going and seems tacked on. To me can spoil the flow of the stories. later Dr Who radio plays I have heard worked better. These audio renditions are phenomenal for blind persons like myself. The narration makes the stories more vivid than the video versions. I was not sure at first, but now I am sold... these audio versions are superior! 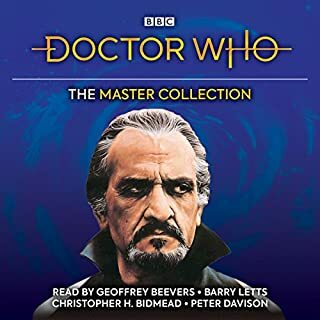 As a huge fan of all Doctor Who stories, I have listened to many by now. 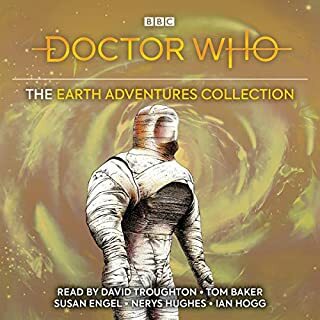 It is nice that this collection is interspersed with interviews, and that the recordings are obviously original, but the sound effects are way too loud compared to the voices. 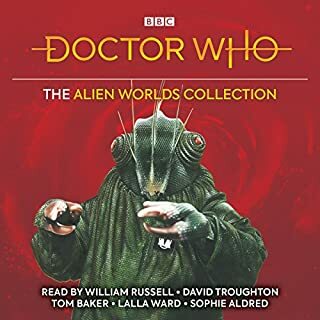 I wish there was a way to optimize volumes to personal preferences, so that the annoying way the Daleks and that androgynous character could be turned down to almost zero, while still being able to understand their phrases. Need More Releases like this!!! 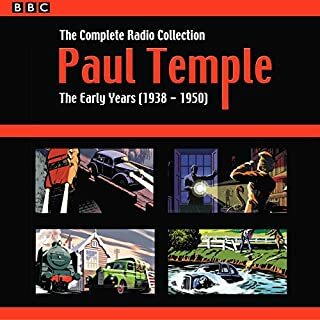 What did you love best about Doctor Who: Classic TV Adventures Collection One? Actual actors!!!! Dramatized as these stories are, which makes them delightful to listen too. 3rd Doctor always IMO! Jon Pertwee does an awesome job. Tom Baker comes next! 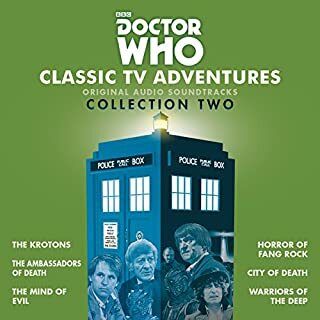 What made the experience of listening to Doctor Who: Classic TV Adventures Collection One the most enjoyable? Definitely worth the price, even if you already have one or two of the stories in the collection. 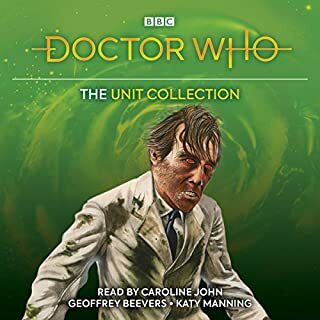 The episodes are great to begin with, and its nice having them all in one collection so I'm not installing seven different audiobooks. I'm planning on getting Collection 2 when that comes out as well. 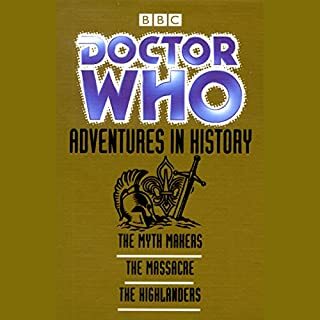 What other book might you compare Doctor Who: Classic TV Adventures Collection One to and why? 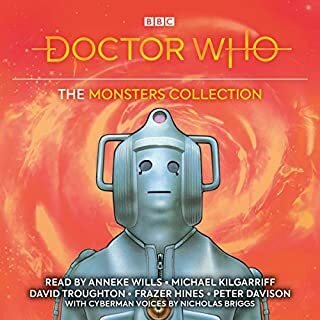 This was a great collection of stories - I only wish there were more of them. Listening to them and to the old actors reminiscing makes me want to go back in time and experience them all live the way kids did when these first came out. 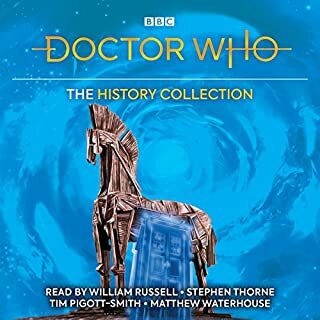 I've always enjoyed the series of Doctor Who, this has been an excellent audio, the narrator is did a great job. I really enjoyed this! Whovians should listen to this book. 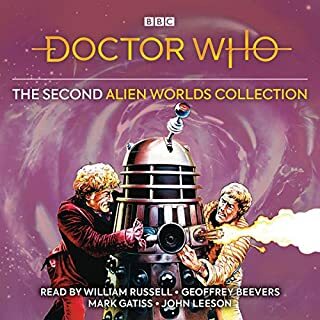 The 2nd, 3rd, and 4th Doctor are in this audiobook and the stories are wonderful. I just finished listening to this audio book a second time. It is still so awesome. Check it out! 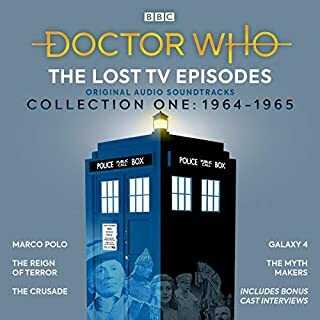 These soundtracks reminded me when I was an adolescent and could only listen to Doctor Who on the radio, since the classic shows aired late at night. The action and story line kept me interested for the next episode. Great to have these audio's available. There are more season. Hopefully more will be available.